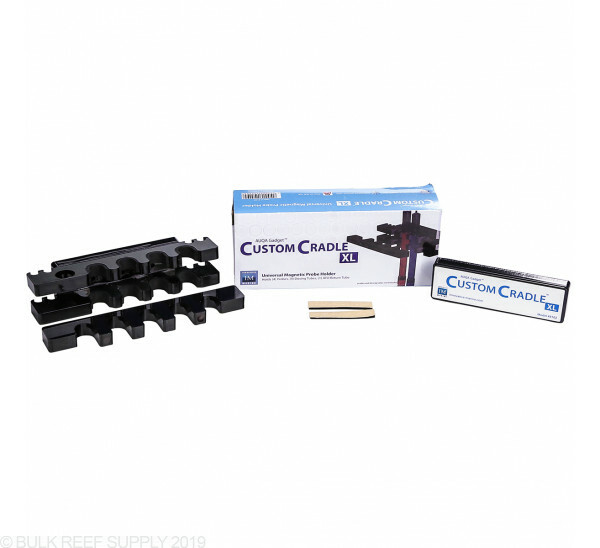 Innovative Marine CustomCradle probe holders are clutter free and one of the easiest probe holders to use, and maintain. Thumb screws are a thing of the past with the magnetically coupled, padded probe and dosing tube holder. 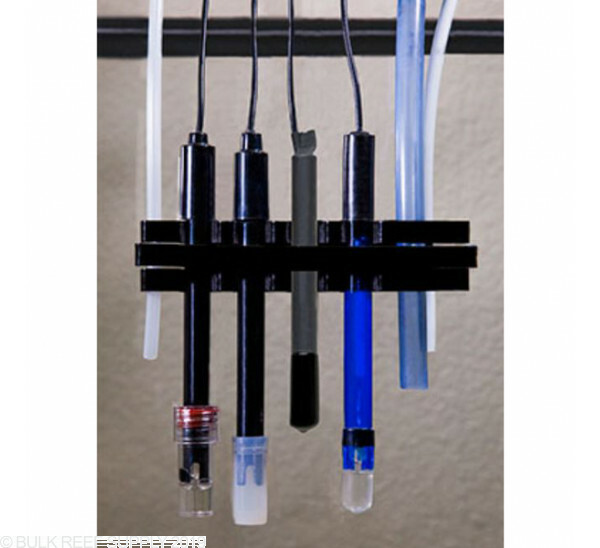 A single CustomCradle can hold probes, top off tubing, and dosing tubing all in one probe holding device. 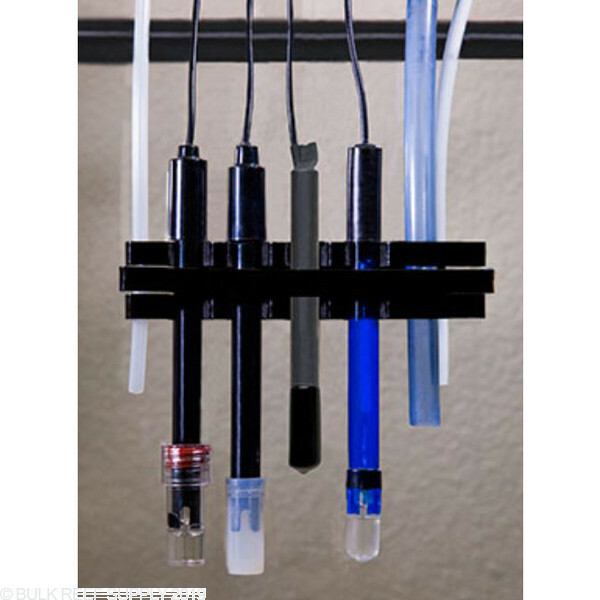 Probe holders will organize your probes from a tangled mess to an organized success. 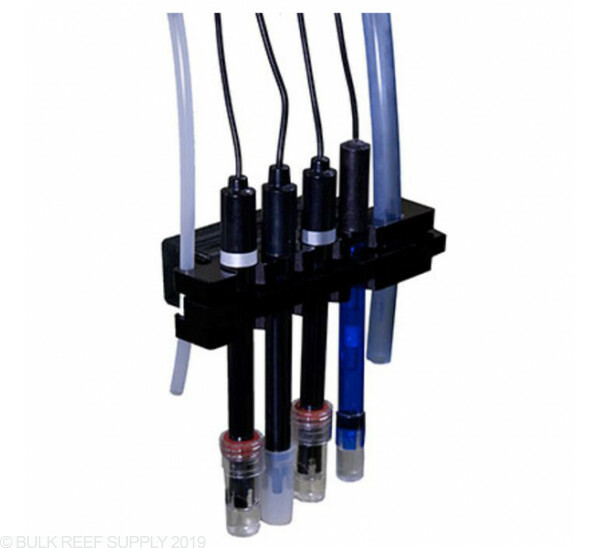 The CustomCradle probe holders are the perfect solution, making your sump look just as good as the display tank. Having your probes free floating around your sump could eventually cause issues with one being exposed to air, and giving a false reading. 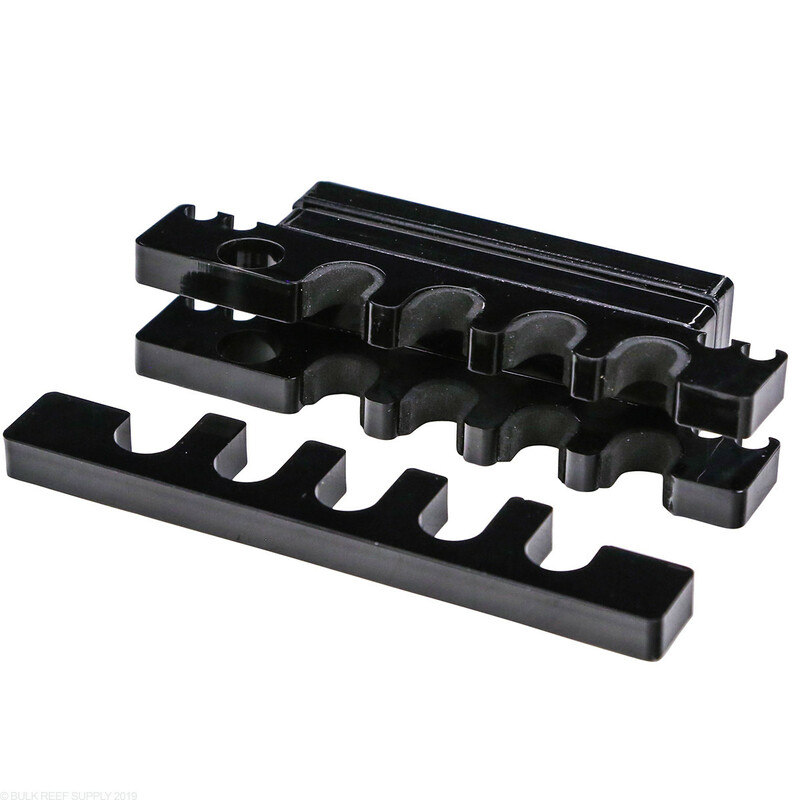 A magnetic mounted probe holder will keep your probes exactly where you want them in your sump, while only taking up a minimal amount of space. 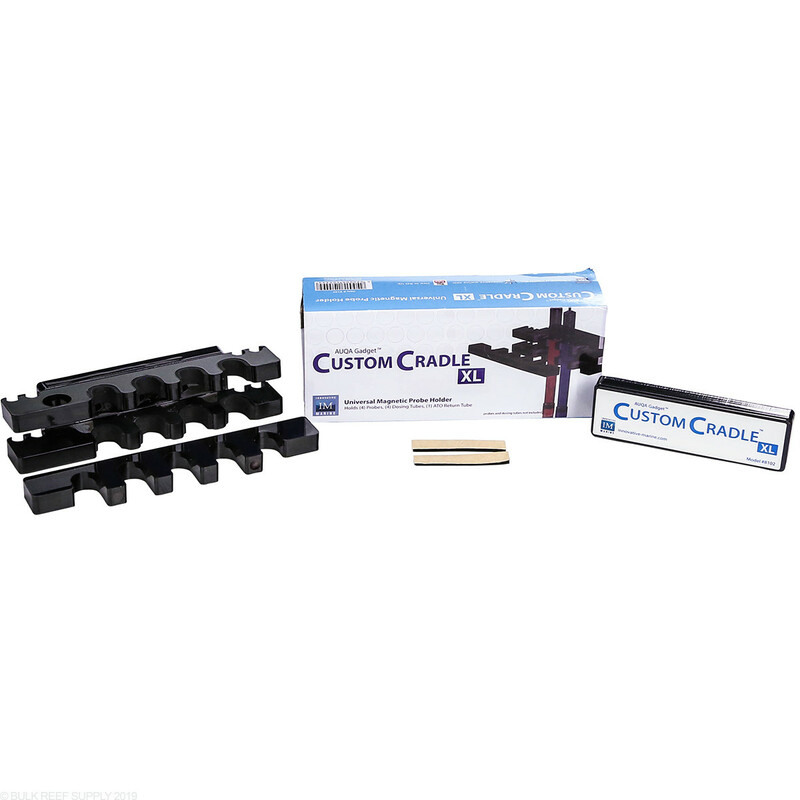 The magnetic coupled, padded holder will allow you to easily maintain your probes for cleaning and calibration, without having to mess with finicky thumb screws. The CustomCradle XL will also be able to secure your dosing and Top off tube keeping them in a secure location. 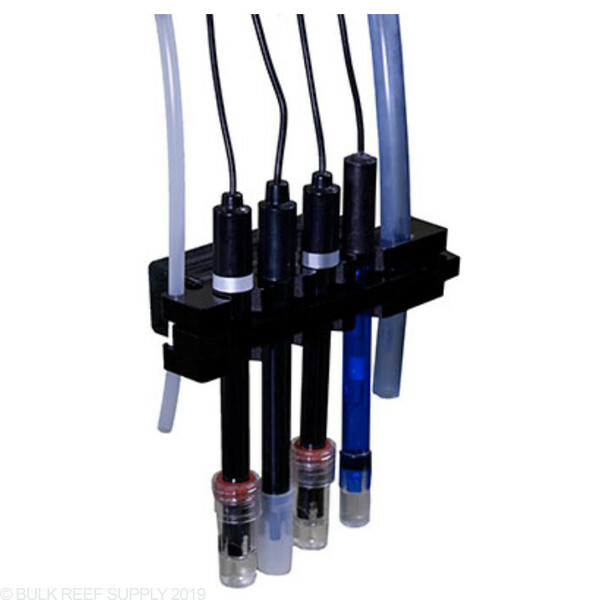 Note: We suggest placing probes and dosing tubes in a location with high flow in the sump allowing water to constantly pass through the probes. Low flow around the probes with dosing lines can cause readings to be out of the normal range for a short period of time depending on the solution being dosed. It's an excellent product if one uses it for mounting probes. On my sump, it holds tightly anywhere. Usually, magnetic mounts don't hold so securely. On the downside, I concur with BRIAN. 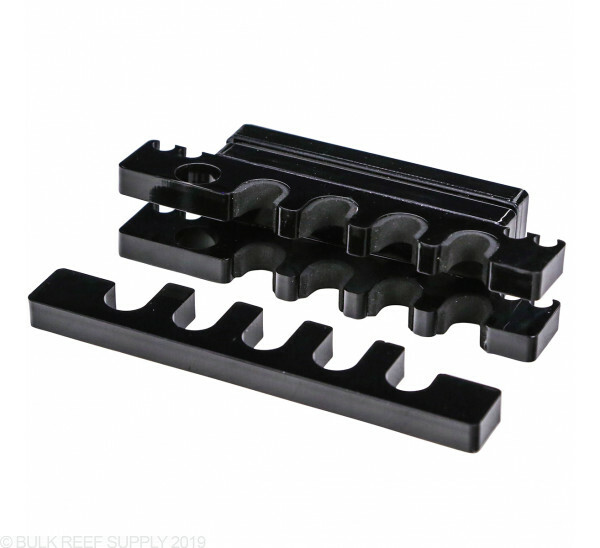 The tubing mounts (for either airline tubing or dosing tubing) are not securely held because the holes are far too big. I'm looking for a good dosing tubing solution to augment this purchase. With that said, I'd still strongly recommend it for probe mounting. I love the idea of this cradle, but there are a few issues. (2) The bracket features adhesive padding to hold probes and tubing in place. However, I use this bracket in my sump (as I think most users would). The water level in my sump rises by several inches when I turn off the main pump for feeding. at this point, the adhesive is submerged. I really don't like the idea of the adhesive -- or the padding -- sitting in my aquarium water. I thought the point of this devise was for the magnets to hold everything in place, but that's not how this device is designed. Instead it's a combination of the magnets and the adhesive padding strips. I also suspect the adhesive strips to come off after repeated submerging in the sump. Time will tell. Based on these issues and the high price, this item is not something I would recommend -- which is a real shame because it's such a good idea. I use a lot of Innovative Marine products first of all! I use there AUQA GADGET CUSTOMCRADLE XL, AUQA GADGET Gourmet Grazer Fish Seaweed Feeder and the AUQA GADGET Gourmet Defroster Frozen Fish Food Feeder. All of those products that I mentioned above are HIGHLY recommended if you feed your fish frozen cubes or Seaweed/Nori for your Tangs. The only Probe holder that even can compete is the Neptune probe holder but the only problem with that is it does not hold your Temperature probe, so to me it's useless. 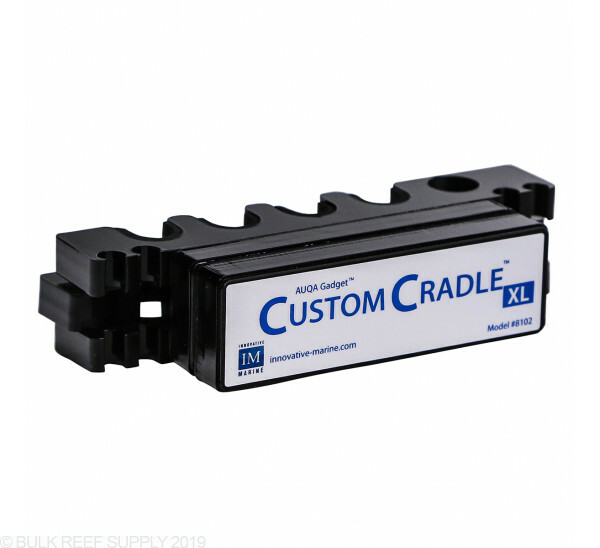 I use the CustomCradle XL for all of my Apex probes, salinity, Temp and PH, then I use it for my TUNZE ATO system and 3 of my doser lines like my Alk, Cal and my MAG.. 5 stars across the board on another superb product by IM.. Purchased to use with the 2016 Apex system. Works well and holds all 4 probes (temp, orp, pH, Cond) and has room to add dosing lines down the road. This probe holder is awesome! Holds probes in their place. Very well built, looks nice and organized. Will it work with the Apex probes? The CustomCradle Probe holders will allow you to use almost any diameter probe including all the Apex probes. These are 9.25"x4" x 2". Feel free to let us know if you have any further questions!